Genetics and birth weight are not modifiable factors in people who are already born, however proper maternal nutrition can reduce the risk of having a low birth weight baby, setting the stage for lifelong health. For those of us who have already arrived in this world, here are things we can do to prevent and often reverse insulin resistance. I'm not a medical doctor, and this is not medical advice; these are simply ideas to consider. It's always best to discuss health-related decisions with a skilled physician who understands your specific health challenges and goals. Eat an omnivorous diet centered around whole foods, simply prepared in the home using gentle cooking methods. It should be a diet that allows the maintenance of a healthy weight and does not favor overeating. It doesn't necessarily have to be low in palatability/reward, but avoiding energy-dense hyper-palatable/rewarding foods is always a good idea (baked goods, chips, pizza, candy, fast food, ice cream, etc.-- you know what your own trigger foods are), and people who carry excess body fat may benefit from further reducing food reward (1). Minimize liquid calories, particularly sweetened beverages and beer. Minimize refined and industrially processed food, particularly foods containing flours, added sugars, and refined seed oils, as well as restaurant food. This does not necessarily mean reduce unrefined starch intake. Favor fresh foods rather than cured and preserved items. Obtain omega-3 fatty acids from seafood, pastured animal foods, green vegetables and/or flax. Include abundant vegetables and fruits in the diet that provide a variety of fermentable fibers, protective phytochemicals such as polyphenols, and minerals such as magnesium. Avoid a very low carbohydrate intake (less than 10% of calories). Lose fat if you are overweight, to the extent that is achievable. Even small losses help. Exercise. Anything is better than nothing; daily is best even if it's only walking. Get your serum ferritin checked (a marker of iron status) if you are a man, post-menopausal woman, or pre-menopausal woman who does not menstruate. If it's on the high side, consider giving blood to reduce it. Find ways to manage stress constructively, and optimize sleep duration and quality. Meditation can be very helpful in this regard (2). Don't overtrain yourself physically. Two studies have shown that a "Paleolithic" diet, which in many ways resembles the dietary guidelines I presented above, can substantially increase estimated insulin sensitivity in people who are insulin resistant (3, 4). Even though some of us have inherited unlucky genes and/or were born small, I believe that nearly everyone has the opportunity to avoid insulin resistance with an appropriate diet and lifestyle. For people who are already insulin resistant, the degree to which it can be reversed will vary between individuals, but there are a number of studies that suggest it can be partially reversed as long as it has not progressed to diabetes. Even among type II diabetics, insulin resistance can be reversed to some degree with an appropriate diet and lifestyle intervention. The earlier it is corrected, the better. I hope this series was helpful and that I have left you with something actionable. I'm loving the refinements you made on your original outline. Awesome! stress -- a very general term -- is probably higher than your ordering. Are you saying that it is unlikely that those born prematurely/low birth weight can ever maintain normal insulin status? I was born prematurely, but have never exhibited signs of insulin/glucose problems or anything along those lines. Of course, I wonder if I should be "thinking about the future" and, if so, how should I be thinking about it -- in order to prevent as many pitfalls as I can. Hmm it's being a common problem now a days. In Lindeberg et al 2007 the Med diet does not include nuts, while the paleo diet does. This is controversial since Med diets do include nuts. Moreover, I'm wondering what kind of "whole grain" was available to Med dieters. Fake industrial whole grain are not better than conventional refined grains (unfermented, and bran added to highly refined white flour). As a Type 1 diabetic I can very easily see insulin resistance coming and going from my body with different changes. The exercise factor has turned out to be huge in making insulin work in my body. 15 min. brisk walking can make insulin currently in the tissues suddenly effective. For me it has become of of my weapons for tight glucose control. In your list of things to do, getting sufficient sun exposure/Vitamin D3 isn't mentioned. Do you think that there's insufficient evidence supporting hypovitaminosis D as a cause of Insulin Resistance? 1. Pharmaceutical drugs, including SSRI antidepressants and Statins. 6. Teflon-like chemicals in rugs, furniture, clothing, and of course cooking pans. These are not easily avoided as they permeate water, food supply, and our environment. I am curious about why you didn't mention the possibility of a super high carb/low fat diet like you mentioned (I thought) in a previous post? ala Kitava and Okinawa, perhaps. I realize this can be paleo, but it isn't what most people think of when they think paleo, because it's not high protein. I shifted my diet in this direction, partly influenced by your post, and my fasting blood sugars dropped by 20 points. My 2 hour blood sugars also are good. I haven't done a tolerance test though, and also, it is still possible that my "peaks" are still higher than normal. Anyhow, I was very surprised that you didn't mention this possibility. I think it works. “savory taste has a stronger modulating effect on food preference than sweet or bland taste and may help to preserve normal appetite regulation in people who are susceptible to overeating". (http://www.ncbi.nlm.nih.gov/pubmed/22131553). Well, I think I’ve found such a study. Here’s part of the abstract. >>The present study investigated whether restricted access to a highly palatable combination of sugar and fat, without food deprivation, would instigate binge eating and also increase body weight. Methods and Procedures: Male rats were maintained for 25 days on one of four diets: (i) sweet-fat chow for 2 h/day followed by ad libitum standard chow, (ii) 2-h sweet-fat chow only 3 days/week and access to standard chow the rest of the time, (iii) ad libitum sweet-fat chow, or (iv) ad libitum standard chow. In a nutshell, the study, as I read it, shows that rats that are exposed to an ad lib diet of standard chow along with intermittent access to highly palatable sweet-fat chow will binge on the sweet-fat chow whenever it becomes available. As a result, they subsequently gain more weight than rats with access to standard chow alone or, more importantly, than rats with constant access to the highly palatable chow. In behavioral terms, one could argue that part of what may be happening here is a strong contrast effect between the standard chow to which they’ve long habituated and the highly palatable chow, which then results in bouts of extreme overeating. In this context, the recommendation that one should eat savoury (and no doubt healthy) foods to control appetite makes a lot of sense. The more savoury your meals, the less contrast there will be when you’re occasionally (or frequently) confronted with highly palatable junk food. This also explains the occasional comments on your site in which someone will claim to have lost weight on a tasty food rather than a bland food diet. What does this mean for recommending a bland food diet? Recommending a bland diet would make sense if the person was isolated like a lab rat and could avoid being intermittently exposed to highly palatable junk food. The low reward nature of the bland diet will naturally reduce any tendency to overeat. But to the extent that most people will occasionally (or frequently) be tempted by highly palatable junk food, at least some of them may be at an increased risk of overeating. In fact, based on this rat paradigm, it might be prudent to warn people that a bland food diet could exacerbate any tendency they may have toward a binge-eating disorder. I am following almost all points you mentioned. I want to donate blood but I suffer from few undiagnosed autoimmune disease, not sure whether I should do that. I have hashimoto thyroiditis but my antibody level is within range, I get bloodshot eyes due to strain. I used to have eczema. I used to get muscle pain an year back. What interests me is not just *what* causes IR, but *why. * We know that IR occurs normally under certain conditions including puberty, late pregnancy, surgery, burns, nd illness, and weight gain. When you think about it, what do these varied conditions have in common? They all involve increased cellular growth. It makes sense to me that IR is turned on so the muscles will take up less glucose and amino acids (they also need insulin for uptake), but burn fat instead, so the glucose and amino acids can be used for repair or other growth. Another reason, proposed by Gerald Reaven, is to spare glucose for the brain during periods of starvation. However, you don't want your muscles to be incapacitated, just in case a buffalo happens to walk by. No help to have a working brain if you can't capture the food. However, *working* muscles can take up glucose without insulin. This is a neat feature. And it's another reason exercise helps if you have IR. I think if we understand why nature invented IR, we can better understand how to combat it. I think it's at least partly because when you manipulate glucose levels, the results affect all the cells. IR can turn off glucose uptake in some tissues without affecting others. I'm not saying that. Low birth weight does not necessarily mean you are insulin resistant or ever will be, it simply means that all else being equal, your statistical risk is higher. You raise a good point, however the difference in nut consumption between groups was only 9 g/day or about 50 kcal/day. Is that significant? I don't know. Regarding your point about whole grains, I agree 100% that there can be more and less healthy whole grain foods. Participants were allowed to choose what whole grain products they ate. This is precisely what happens if you give someone typical advice to eat a "Mediterranean diet", so I think the finding is useful in that regard. Would they have found something different if everyone had eaten only traditionally prepared grains? Perhaps. I'm not convinced yet by the evidence on vitamin D and insulin sensitivity. Although there is some intriguing observational evidence, overall the controlled trials really have not panned out so far. I have my eyes peeled for future findings though. I could see certain pharmaceutical drugs fitting into the picture. Regarding PCBs, BPA and other pollutants, I have an open mind but I'm not convinced yet. Yes, very high-carb diets can increase insulin sensitivity as well. Although they are effective, I didn't include them in my general recommendations because I don't think they are necessary for most people. My glucose control also improved from good to very good after increasing my carbohydrate intake from typical to high. My post-meal blood glucose tends to be lower now than when I ate less carbohydrate, paradoxically, even though I eat a lot of potatoes which are high glycemic index. You can ask a blood donation center if they would accept your donation. My local center also allows you to donate but specify that you would not like the blood to be used for transfusions. The studies you referenced do not conflict with what I've been writing here on food reward. The first study was not designed to investigate the influence of palatability on food intake. They didn't even measure the palatability of the different conditions so I don't understand the relevance. At this point, there are enough studies that show palatability increases food intake that even if a new study came out that couldn't replicate the finding, the weight of the evidence would still solidly support the idea. In the second study, all groups exposed to the sweet-fat diet gained weight relative to unpurified chow. Restricting food exposure to a 2-hour window increased body weight more than giving continuous exposure, although they didn't measure body composition so we don't actually know how fat mass changed. I agree that the finding is interesting. Intermittently restricting food exposure increases the reward value of the restricted food if it is pleasurable. So yes, I agree it would not be advisable to eat bland food for two meals a day and binge on junk food for dinner every night. But of course, that is not how people apply reduced-reward diets. Reducing food reward leads over time to loss of excess body fat and reduced cravings for junk food, BUT it doesn't make you immune to caving in and eating chocolate cake if it's in front of you and everyone's eating it. So far as I know, the results of this study are not considered particularly anomalous by those who study binge-eating disorder. One article I came across that reviewed the various means by which rats can be induced to engage in binge-eating seemed to regard it as a viable protocol for conducting such studies. But that’s precisely what people with binge-eating disorder tend to do (and, to a lesser extent, what many normally overweight people do). Many of them practice some type of dietary restraint during the day only to cave in by day’s end and binge on junk food. What this rat study shows is that the restraint need not simply consist of a reduction in calories but also a reduction in palatability (and many diets reduce both calories and palatability). That’s a misleading argument. For people with a tendency to binge-eat, it obviously doesn’t need to be in front of them (and they very often eat alone). To access the food, they can simply walk across the street to the local convenience store or pick it up at the supermarket on the way home - or stop in at the donut shop as I used to do. As for low food reward reducing cravings for junk food, it’s interesting that the rats in this study, as well as the rats in the typical cafeteria diet study, have had several weeks of constant, ad lib exposure to a monotonous one-item only diet (standard chow) prior to being exposed to junk food. And yet they go hog-wild over the junk food when they get it. The previous exposure to the much lower-reward chow doesn’t seem to do much at all to lower the value of the junk food, and if anything probably (and quite logically) results in a contrast effect that makes the junk food even more enticing. The possibility of a bland food diet backfiring in this way really should be pointed out to people considering your diet recommendations. Initially I was excited by the concept of low food reward. But, I think the reason it doesn't work for some of us, is that it is still too rewarding. We're not rats that only eat one type of chow. Unsalted potatoes taste very sweet after eating 2 cups of collards. It' like arguing that if you binge on 70% proof rum, you won't binge on beer. We all know plenty of beer drinkers that drink way too much. I think there is something to the concept that the brain is involved in over eating. Dr. Amen corrects weight loss with brain scan technology. He does not come out against processed food. Instead he advocates for a high fiber diet that is low in saturated fat and sugar. Depending on your brain scan, or your answers to psychological questions, he gives you a list of different foods to eat. I don't really know if his diet plan would work for me, but his diet does make other people's brain scans appear healthier. The argument you advance would apply to any restricted diet. So what are people supposed to do, eat unrestricted quantities of junk food? That is clearly not a good strategy, so some form of restriction is in order. Binge eaters are literally addicted to food, so the treatment should be analogous to treating drug addiction-- avoidance, not providing unlimited access to the drug. The most effective strategy will be something sustainable that reduces cravings for the restricted foods. Simple (reduced-reward) diets are able to do that. People are reporting to me that both hunger and the desire for highly palatable food decrease after 1-2 weeks on a simple food diet. The same has been reported in studies of low-carb diets, which are also restricted and reduced reward. Most of the people I've heard from are not having problems with junk food binges, to the contrary they find the diet fairly easy once they get used to it. It's possible that I'm disproportionately hearing from people it's working for, but even if that's true, it clearly is effective for many people. Now if there is an individual who finds it doesn't work for them, due to increased bingeing or some other negative side effect, then of course I'm not going to encourage them to continue. But it just hasn't been a problem so far. Stephan, I believe I read you saying a while back that low carb diets tend to fail in the long term even though they are low reward because the brain adapts to the restriction and finds other ways to get its calorie excess. Is this a correct characterization of what you said? If so, what stops other low reward diets from suffering the same fate? @Amy - "Unsalted potatoes taste very sweet after eating 2 cups of collards. It' like arguing that if you binge on 70% proof rum, you won't binge on beer. We all know plenty of beer drinkers that drink way too much." I'm not following your reasoning here. Rum is hard liquor, and is much more rewarding than beer in terms of drug (alcohol) reward. Obviously if you feed an alcohol addiction with rum, if rum/vodka/whiskey is not available at a time when you feel like drinking, the alternative would be to binge on cheap wine or beer. Not sure what that has to do with plain potatoes and collard greens. Potatoes taste sweet after collards probably because of the contrast; after eating something so bitter, a plain starch that is very mildly sweet will taste sweeter. OTOH, I bet that if you were to wash down those collards with a cup of strong coffee, that coffee would taste less bitter than it would first thing in the morning (before any collards). I don't recall saying that. The LC diet studies (Shai et al. in particular, which was overall the best one IMO) show that the "average person" loses weight rapidly on LC, regains some of it over the next year and then plateaus at a somewhat reduced weight if they remain compliant. Why do people regain on LC diets? I don't think anyone knows for sure, but I can speculate. Some of it has to do with increasing carb intake when transitioning from a VLC induction phase to a LC maintenance phase. Some of it is decreased compliance over time. People also learn to cook/eat around the restrictions, bringing the palatability/reward value of their diet closer to what it was before going LC. I don't see any reason to think that the effectiveness of simple food would diminish over time if compliance remains good, but that remains to be demonstrated. I've been thinking about what you said because I've seen people do what you describe and specifically you are talking about disordered eating rather than passive overeating. In my opinion it really comes down to accepting the limits that dietary strategy as an independent variable can produce. I would not suggest that a person with disordered eating behaviors attempt to sweet potato themselves well however that doesn't mean FR can't be informative and put to good use IN broader treatment. I think it's mostly decreased compliance over time why folks on VLC gain weight back. It's hard doing VLC forever and avoiding a lot of carb foods. Don't feel satisfied on VLC. Sad to say that my dad is diabetic. He doesn't smoke, walks daily (but probably not enough), doesn't have much stress, not overweight but he is a vegetarian. I'm not against vegetarian but the fact that he eats mostly overly flavored, carb heavy, nutritious depleted mock meats is what bothers me. Hard to change his diet though. Sigh. @Stabby: 30mg/day of MK-4 is a very large (and very expensive) dosage. My goodness, you do have a tendency to make use of straw man arguments. Obviously, recommending that people “eat unrestricted quantities of junk food” is just silly and not what I’m suggesting. Rather, the other option is to eat highly nutritious food that is made to taste as good as possible. And this is obviously what those food reward researchers were recommending when they suggested eating savoury rather than bland or sweet foods in order to regulate appetite. You also mention low-carb diets as reducing appetite, but LC diets are not necessarily low in palatability and many LCers claim quite the opposite. In fact, having a rather natural tendency to eat plain foods myself, I’ve sometimes been puzzled by the extent to which successful LC and paleo dieters spend so much time discussing how to make delicious meals. But it now makes sense when looked at from the perspective of minimizing the contrast effect in palatability between their LC/paleo diet and the junk food with which we’re surrounded. In fact, perhaps the preparation of highly palatable LC and paleo meals is a significant predictor of success on such diets. Some researcher should look into that. 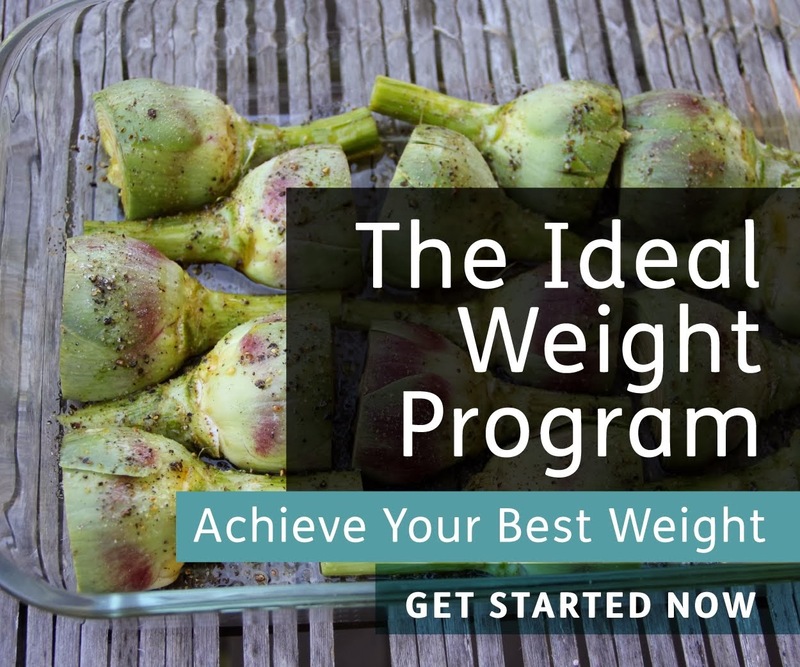 As for the anecdotal evidence that you are collecting, it means little when pondering whether a bland food diet should be recommended to people with a true food addiction and with tendencies to binge-eat. How many people attempting the diet, or even visiting this site, have such tendencies? Rather it seems like many people here, including those who have attempted the bland diet, have a somewhat successful history of LC or paleo dieting and are looking to the bland diet to correct some of the deficiencies they experienced with those diets. These may in fact be the people for whom a bland food diet works well. But for those for whom the contrast effect will be a problem, then the diet may be the polar opposite of what they should be attempting. Those individuals might do considerably better to eat a healthy, minimally processed diet that is made to taste as good as possible. I think what's probably missing from rat studies is the psychological backlash that humans experience when something is perceived as being "too restrictive" coupled with the freedom to rebel at will. At the same time, any serious bodybuilder can tell you that for anyone who is not a Navy Seal or POW very low body fat is accomplished in part with low reward foods in those last few weeks. Anecdotally we all know that for most people the last bite of pizza goes down the hatch full or not, the last carrot...not so much. Pair that info with the notion that it's the eating behaviors people have when they are alone rather than social eating that binge eaters usually fight with and the pattern for success starts to emerge imo. I'd keep nutritious food that was minimally stimulating for me [note I didn't say bland] around the house and set the parameters that were individually necessary around high reward foods/situations. People know what their "over eat" foods are. I don't think we should graduate from "It's the fat!" to "It's the carbs!" to "It's the processing!". Just about everyone knows whether "insert wholesome food here" should be on the "sometimes" shelf with cookies or not for them personally. 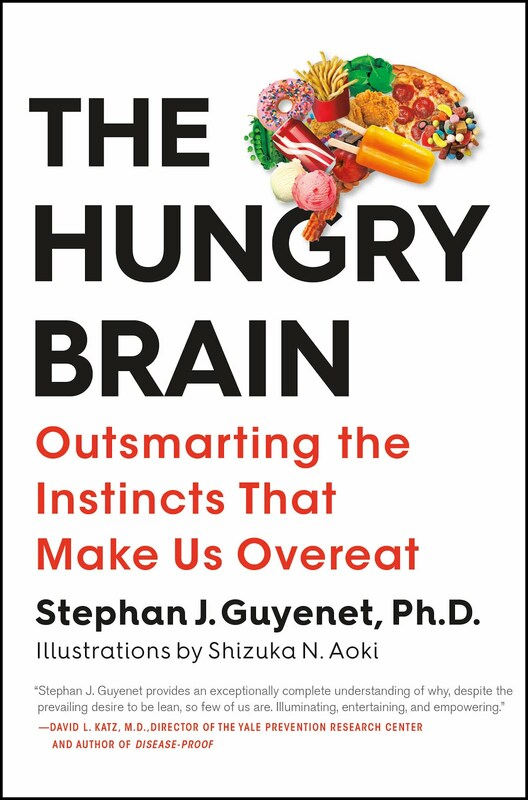 Surrounding yourself with foods you find very tempting is a plan to fail for people and I hear Stephan saying that as well as acknowledging that although it is generally true that processed commercial foods are generally higher reward it isn't uniformly true or a reliable SINGLE agent. I quite agree that one can't make blanket statements about which foods are harmful, and I admit that my comment about processed foods was an overstatement on my part. God forbid that I become one of those diet nazis. I guess that's one of my issues with the bland food diet (not that Stephan's a diet nazi). I think it's probably helpful for a subgroup of people (and I may even be one of those people) but it might be counterproductive for others. And people with a tendency to binge-eat may be in that category. I just wish there would be some acknowledgement of that and at least a cautionary note posted in that regard. Professionally, I would get into deep doodoo making the kind of recommendations that Stephan has been making given the current state of the evidence. Yet I'm quite sure he has considerably more sway over people, with his neurobiology background, than I ever would. "Many of them practice some type of dietary restraint during the day only to cave in by day’s end and binge on junk food. What this rat study shows is that the restraint need not simply consist of a reduction in calories but also a reduction in palatability (and many diets reduce both calories and palatability)." "For people with a tendency to binge-eat, it obviously doesn’t need to be in front of them (and they very often eat alone). To access the food, they can simply walk across the street to the local convenience store or pick it up at the supermarket on the way home - or stop in at the donut shop as I used to do." You made it sound like what you were talking about is whether to restrict junk foods like donuts, or not. If you were referring to well-seasoned home cooked foods, you didn't mention it. So think it over a little before accusing me of constructing a straw man. I was thinking about this last night, and I have had at least two people independently write me to say that a simple food diet has helped them with binge eating behaviors. If highly palatable food is your trigger for binge eating, it make sense that reducing exposure to the trigger would help. I can't guarantee that it will help all binge eaters, but it has helped some people. The point is that people don't stop being alcoholics by switching to the lower reward beer. Having been raised by an alchoholic, they will drink and drink until they get a buzz or pass out. They drink slower if they drink something high reward like rum. Low food reward won't work any better than low-carb or low-fat for weight loss. If you're a binge eater, you're a binge eater. Over the long run, you'll successfully learn to eat more food to get that "food buzz" feeling. Then you have strange people like me, who if I feel a strong "buzz" through either food or rum, the sensation overwhelms me and I stop drinking/eating. I can only eat so many chips. It's easier for me to get drunk of beer because I don't feel completely overwhelmed by the experience. We still have a lot to learn about the brain. "If you're a binge eater, you're a binge eater. Over the long run, you'll successfully learn to eat more food to get that "food buzz" feeling." I agree with this. I certainly think that certain populations will press against the limitations seeking that "buzz" their binge usually provides. It is possible [just harder] to binge on volume oriented fibrous foods. People can and do stretch their stomach to accomplish the buzz or finish the binge on calorie dense foods. I think low reward mostly helps with passive over eating. It seems reasonable that low[er] stimulation would likely be a helpful element in broader treatment though. My own late MIL had her longest stretch of sobriety eating low carb. Measured in years. For whatever combination of reasons she was least "turned on" to binge [food or drink] and had better control of all her disordered behaviors on that diet [and actually she was my introduction to it, very persuasive]. I think it's relevant to distinguish between people who more than likely could use psychiatric treatment and people who are generally functional but over eat. For those populations simple environment changes certainly could make a big impact. I think environment may be even more relevant for very disordered individuals but it'd be a sophisticated process better handled one on one with a professional imo. The fact that very unwell people try to self treat serious illness with various diets isn't something anyone has much control over. When asked "does it work?" we have to first establish what it was supposed to do. I'm curious about Stephans opinion/response to this issue. While there are good parallels, I think there are also important distinctions between alcohol and food reward. For an alcoholic, the very presence of alcohol in a beverage makes it problematic--maybe even gin in goat milk; not trying to be funny, but just as an extreme example. For binge eaters, it's not food per se that's the problem, but certain TYPES of foods (junk food, homestyle 'comfort' foods [which are possibly wholesome], etc.). Give a binge eater unrestricted access to plain potatoes and steamed collards and boiled chicken breasts--and nothing else--and they probably won't binge. A binger will most likely not 'just eat more to get the buzz' because those foods provide a negligible 'high', if at all. Sorry about that. I assumed you knew what I was talking about since I had started this discussion with the quote from those food reward researchers who recommended a savoury diet to regulate hunger. Obviously they wouldn’t have been recommending that people eat junk food in doing so. As for the two instances of binge-eaters who are managing well on the bland food diet, it’s possible that the diet is having the effect. But of course it’s also possible that they happen to be exceptions to the rule or that their success is simply the result of nondiet factors such as expectancy (placebo) effects (which most everyone is susceptible to to varying degrees). Do you know if a study has ever been done in which they compare the effects of a junk food cafeteria diet on rats that have been living on the standard one-item-only chow versus a more varied and more palatable, but still healthy, chow (perhaps the same chow as before but with different flavors attached)? If not, that would be an interesting test of a less palatable versus more palatable baseline diet in enhancing resistance to junk food, at least in rats. OK, sorry for being snippy. I agree the study you propose would be interesting-- if it has been investigated, I'm not aware of it. I do know that environmental enrichment in general protects against just about anything you measure, including obesity. I mean enrichment as in more space, running wheels, toys etc, as opposed to keeping an animal in a small cage with nothing to do but eat. I can binge on unsalted plain potatoes. I don't think I can binge on collards. Potatoes are like beer for me. (I can binge on broth, meat, carrots, blueberries, squash and nuts, too.) The "feel good buzz" sneaks up on me in these foods. Eating three unsalted, unflavored foods in soup: beef, potatoes, and collards is still a lot of variation. I don't know if I would binge, drinking nothing, but the same exact sport drink every single day. None of the ingredients taste different in the drink. One item wouldn't have a higher "buzz" to search for. If I live in a world of abundance of flavor, I start to lose weight. Everything tastes good, so I start to skip meals on accident. Eating is not important. I'm not searching for the "buzz". Eating two times a day keeps me happy. Stephan, you always do a great job of explaining mechanisms. Could you help me understand one now? In the factors that contribute to insulin resistance, you list very low carb diets (<10%). Yet from biochem textbooks, the following sequence is indicated : Low serum glucose ->low serum insulin -> insulin receptors up-regulate. How does this get modified in the very low carb situation? Thanks for the great series. I'm still having a hard time placing exactly what a high-reward food is. Is it just a lot of flavor? Is it completely individual to the person? Is it defined by a response in the brain? Are there some sort of macronutrient qualities that are typical of a high reward food? I bet I could think of a few foods that are in this category, but I'm not sure why they belong there. Thanks! Paula Deen is getting a lot of "I told you so" reactions upon her announcement of type 2 diabetes. Everyone implicates butter. How much blame does butter deserve? Your research leads to cellular energy excess as the number one contributor to insulin resistance. Is it fair to say that fat adds to cellular energy excess in the presence of glucose-rich foods because the glucose has to be used for energy first? Baked yam good, baked yam and a stick of butter bad? Now inflate reward: baked yam, salt, a nice chunk of butter, plus brown sugar? And... Lets say you pretty much just eat yams and greens and wild salmon and the amount you eat leaves you with zero excess cellular energy. Its all steamed and not seasoned so reward isn't inflated. And you farm it all and catch it all but it's all so abundant that you have to work to get it but it's not a stressful life. Now lets say you decide to keep everything constant but you create a huge excess of cellular energy by eating the same number of calories via a huge glob of rendered lard after each meal. In theory, that should increase the risk of insulin resistance, right? In other words, you can be a hunter-gatherer with abundant "paleo" food in a stress free life and still become insulin resistant by walking around with excess cellular energy. And it should make you fat too, right? But the increasing insulin resistance and increasing body fat are outgrowths of the same energy excess and simply correlative. The fat gain doesn't cause the IR and the IR doesn't cause the fat gain. Is that right? Have you looked at Westman's studies and others that reverse diabetes and insulin resistance with low carb diet? Where is the evidence that a low car diet causes insulin resistance? I've never come across that anywhere but on this blog. Why is high ferritin a problem? Mine's 81 (range 5-100) but I can only donate blood in September and only if my waiting period (had an operation in September last year) is not continued. on that page, search for "Faccini". confirmed slightly better insulin sensitivity among donors, but not better overall cardiovascular outcomes. I donate at the minimum period Canadian Blood Services allows, (56 days), but I'm maybe 90% convinced it'll be good for me when all's said & done. "improved markers" doesn't do "it" for me. The pancreas loses beta cells due to aging, genetic factors, insulin producing diets etc., which then causes IR. There has been animal research done with the ayurvedic herb called Indian Koni that has shown the ability to regenerate pancreatic beta cells and thereby reversing IR. People who have the IR body type (apple)...or who develop it...can perhaps change the fat distribution of their body by "fixing" the lack of pancreatic beta cells. Would this be a fair conclusion?